Four genomes for ants have just been decoded. The genetic information gives us a better picture of why ants are so successful, and helps us understand why leaf-cutter ants live in a close, mutually beneficial relationship (symbiosis) with fungus. Some argue that leaf-cutters are the most industrious farmers on Earth. Discuss: How does the leaf-cutter ant “make a living”? What are some reasons why ants are such a successful group of organisms? Discuss: How does the new leaf-cutter genome flesh out the picture of its symbiosis with fungus? How does long-term interaction enhance cooperation in a symbiotic relationship? What are two reasons to believe that the leaf-cutter’s symbiosis with fungus is a successful arrangement? Amazing Ants! 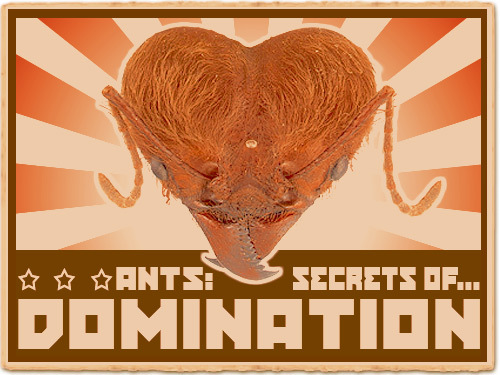 Match ant species to their unique behaviors through this interactive game. What does this diversity of behavior tell you about the evolution of ants? Making sense of symbiosis. Guide your students through this in-depth lesson on symbiosis. Recommended for grades 9-12. Critical thinking. Decoding genomes has opened new possibilities, as well as posed new questions. Have students explore the Human Genome Project to learn how genome deciphering is done and what the completed project means. Then, ask students to read these articles and write an essay on one of the topics, incorporating all sides of the issue. Recommended for grades 9-12.